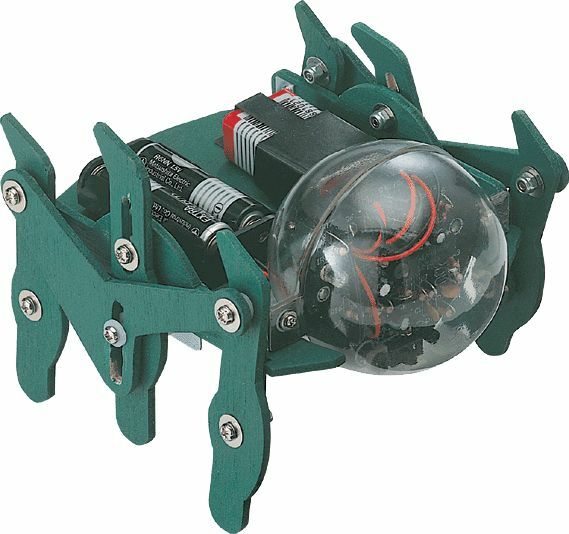 The Hexapod Monster is a robot that uses an infrared emitting diode for its eyes, and moves by its six legs. It turns left when it detects obstacles, and keeps moving forward if there is no shade in front of the sensor. Uses an infrared emitting diode as sensor. Requires (1) 9V and (2) "AA" batteries.